Have you heard the good news? If you’ve been at all exposed to popular culture over the last two decades, chances are you’ve heard it—the message of Oprah’s gospel, that is. 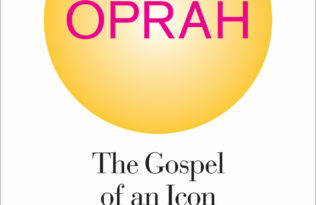 In the latest UC Press Podcast, we interview Kathryn Lofton, author of the forthcoming book Oprah: The Gospel of an Icon (March). Lofton, a professor of Religious Studies and American Studies at Yale University, finds in Oprah’s empire—Harpo Productions, O Magazine, and her new television network—an uncanny reflection of religion in modern society. In this podcast, Lofton shares insights about Oprah’s message (the star of your own life is YOU! ), her cheerful collaboration with capitalism, and the historical moment that made her incredible acendancy possible. Lofton also ponders whether Oprah is a uniquely American phenomenon, examining women of other nationalities who purport to be their own country’s “Oprah”. Finally, she addresses what will come of the O media empire once Oprah herself is no longer around to spread the message.